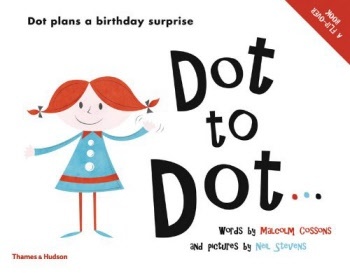 Dot to Dot... is an illustrated flip-over picture book about a little girl called Dot from London and her grandmother, also called Dot, in New York. The pair share a birthday and desperately want to spend it together. Readers start at one end to find out Little Dots story; flip the book over and start at the other end to read about Grandma Dot. The story follows Little Dot as she tries everything to hand-deliver a special card to grandma Dot in New York: she tries to bounce on springs across the ocean; asks birds and butterflies to help her fly; and even digs a tunnel in her back garden. Meanwhile, Grandma Dot is making a surprise trip to London, but travels the long way round. At each stopover, in Beijing, Mumbai and Rome, she gathers family and friends and buys a mystery present for Little Dot. But will Grandma Dot arrive in London in time for the big day? And will Little Dot be there? 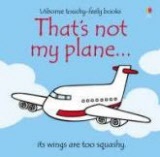 Start at one end of the book to read Grandma Dot’s story. Flip the book over and start at the other end to read about little Dot. Malcolm Cossons is the author of Collect Contemporary Photography and Collect Contemporary Jewelry, both published by Thames & Hudson. Neil Stevens, the illustrator, has had work featured in the Guardian, Wired and Ammo.